Follow the steps below to install and set Chinese or Indian language as default keyboard. Press HOME button on the remote to go Home menu. Scroll down to the Apps shelf and select Google Play Store icon. 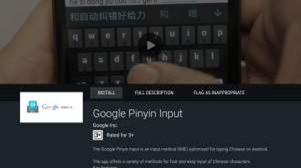 Search for Keyboard and look for Google Pinyin Input or Google Indic keyboard. 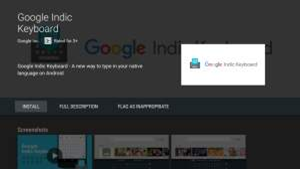 Install either Google Pinyin Input or Google Indic keyboard. Follow the instruction on the TV screen. Once installation complete, press HOME button on your remote control to go Home Menu. Select Settings. Select Keyboard under System Preference. You can find the downloaded keyboard. Select the option which you want to use. Press HOME button on your remote control to go Home Menu. Select Settings. 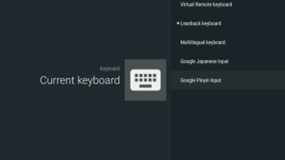 You can find list of available different language/type keyboard. Select the keyboard which you want to use. I want to set my TV’s default subtitle settings to Chinese. Can the menu language be set in Instant Mode?